Episodes 18, 19 and 20 are filler of the most generic form. 18 is your classic Lost in the Jungle story, 19 is your classic Trapped in a Haunted Mansion tale, and 20 is your classic (that is, if you’re a Leiji fan) Caught in the Sargasso Sea of Space a.k.a. Gravity’s Graveyard yarn. Honestly, these episodes were so boring I felt more excited just writing this paragraph here. It’s criminal to put this filler at this juncture in the show. It really is. But I wo’nt spend more time on this, so let’s move on to the later episodes. 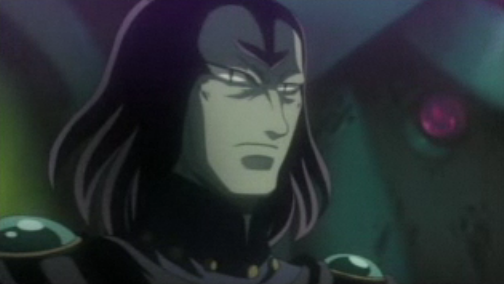 The final, climactic arc consists of episodes 21 through 24. The plot development is very nice in my opinion, for three main reasons. 1) The existence and function of the Galaxy Railways is questioned. This is something I think cropped up often in the first season, but here we get a much more clear exposition. The final enemy turns out to be a machine in the service of the corporation. Sure, by the end the machine is crushed and everyone celebrates but the criticism remains. 2) This season is linked organically to the first. The very first thing that happens in the Galaxy Railways saga is the loss of Wataru Yuki. And the final arc of the first season deals with an inter-dimensional invasion from the Alfort race. Alfort claimed their actions were defensive because the GR was expanding into their universe. As we glean from the second season, this is true and it involves Wataru intimately. 3) The human-planet motif from GE 999 is employed. 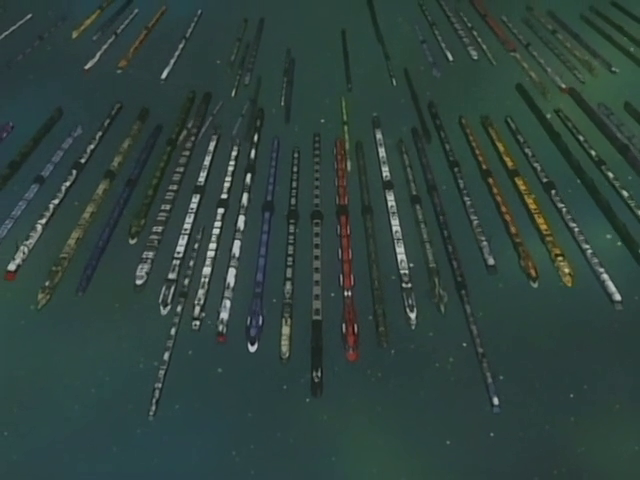 One of the great mysteries of the Galaxy Express 999 series is the process whereby Queen Promethium managed to create a mechanical planet that somehow shared her soul. Her daughter Maetel also gets her own planet. In this second season of Galaxy Railways we see Wataru undergoing the same process, albeit unwillingly. It’s a very nice shout-out to the series that started it all. Pardon the cryptic remark, but this scene shows once again why Manabu is superior to Tadashi Daiba (cf. Endless Odyssey). All in all I can’t help but agree with practically everyone else that the first season is superior to the second. I found myself missing Bruce. Without him Sirius Platoon was lacking a certain something. I guess Capt. Lawrence became the substitute but he was too monotone. Ultimately the biggest flaw is the obscene amount of time the show spends dealing with silly stories, especially when they show up near the end. That’s the name of episodes 25 and 26, which did not appear on TV but went directly to DVD, I imagine to boost sales of the series. I guess it could be considered a sidestory, but then it’s a very meaty one, with all indications being that it takes place soon after Season 2. Really, it’s kind of a mini-sequel. Metanoids pop up from another dimension. This is fantastic since I spent half of season one speculating that the enemy then was Metanoid, and it turned out it wasn’t! The design of their warships is very faithful to Leiji’s basic Metanoid designs, with the flagship being a Phantasma type. Their modus operandi is classic Metanoid too: their fleet swallows space as it moves along. And interestingly enough the leader of the invasion sports an Ardis-like hairline. Truly a must see: behold! 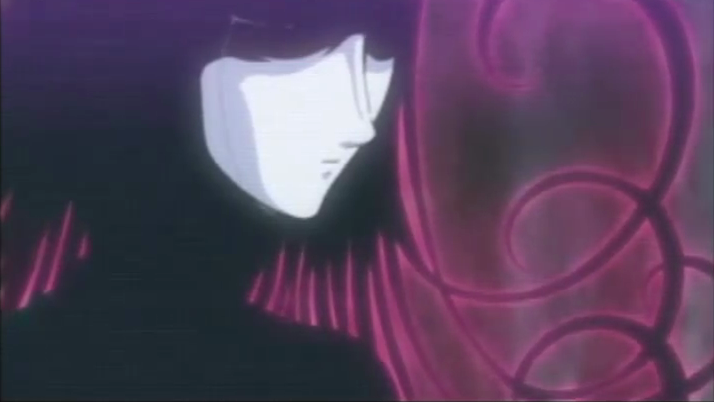 One of the most fascinating aspects of episode 25 is its tackling of romance. At the end of episode 24 we might have thought that Manabu and Louis were on their way to become an official couple and maybe even tie the knot (since Manabu took Louis to his home planet) but here it seems they’re back to square one, well, not one maybe but three or four 🙂 There is a point when everyone has a vacation period to spend with their loved ones. Bulge comes out of his office, makes a call to his old flame, who doesn’t pick up the phone in time. As he walks out of the building Julia from Spica Platoon is standing there, evidently waiting for him with a sly smile. He smiles back and keeps walking. Julia mutters: “Idiot!” It was a nice scene, as Julia is finally ready to move on after Capt. Murase’s death. And Bulge is an idiot if he passes on that!!! In the huge battle that ensues, Big One communicates with a ship from the Former Solar System Federation, and the woman doing the talking is called Mori and looks just like Sexaroid Yuki. After talking with her, she calls the Sexaroid her “distant ancestor”! So clearly, this Mori is a descendant of Yamato’s Yuki Mori and she knows about the Sirius Sexaroid and considers her practically the same as Yuki Mori herself. The Metanoid leader, in a somewhat Yamatoesque scene, is impressed with the valor of humans and decides to withdraw his fleet. We last see him contacting his Darqueen and declaring he is ready to accept any punishment she sees fit. She says nothing, but we see a tear running down her cheek. THE END. ~ by Haloed Bane on June 11, 2011. I wonder why you’ve made it cryptic. I find it totally awesome how the final Manabu/Wataru confrontation references both the Maetelverse and Harlockverse at the same time. But I am puzzled by your comment. If anything, the scene shows that Manabu is superior to Maetel, as in five minutes he does what she’s been struggling to do all her life. And while mimicking the EO scene it sheds no light on it, or do you think it does? Eps 25 and 26 sound very interesting, thanks for this information! That’s annoying, actually – to waste so many episodes (almost the whole Season 2! ), then introduce a good ending to Season 1 and throw a bait of a new development we might never get to see. But as it is, it adds to the overall perspective – the Metanoids are everywhere in the Leijiverse. Wow. Hmm, wouldn’t Yuki Mori’s descendant be Kodai’s descendant too? I guess by “cryptic” I meant that the number of people who could understand the comment (meaning the number of people in the world who’ve seen both Endless Odyssey and Galaxy Railways II) is likely so small that most people looking through this post will not understand it. 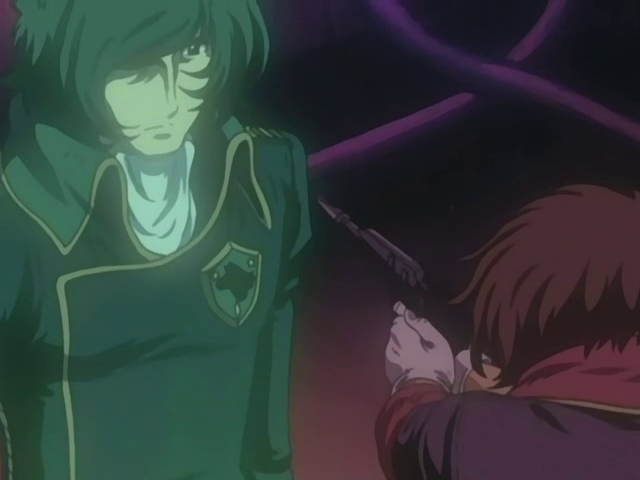 I think Manabu shows himself better than Daiba because he pulls the trigger on his Dad, whereas Daiba hesitates much more even though Harlock is not even his own father… (of course, the fact that Wataru is pretty much “altered” in a bad way helps him make the decision too). Your comment about Maetel raises a huge question that I’ve never really thought of before. Could Maetel just walk in on Promethium and kill her?? Maybe she could. Then again, remember from Space Symphony (which I seriously need to rewatch!) that Promethium is cloning herself, and taking “her” out might be terribly more complicated than taking Wataru or Harlock out…maybe? Excellent point about Yuki Mori! I’m slowly making my way through the Yamato saga, but I’m pretty sure Mori and Kodai get married and have babies by the end..so yeah, a Mori descendant would be a Kodai descendant as well. Is there any way to find Episodes 25 and 26? And why were they never aired? They sound a hell of alot more interesting than most of season 2 was. Niconico is the only place I’ve seen them on, and they’re unsubbed. The series properly concludes with episode 24. I imagine 25 and 26 were put on DVD-only to see if they could help spur the DVD sales.. If it weren’t for Wikipedia I would have never known! same here, for the past 3-4 hours or so I’ve been looking evrywhere for it T-T why didn’t they air these two anyway? You know, back when I first finished the second season of this show, I came across a website that had a hidden episode of the Railways! I clicked on the link, and sure enough, there, in Leji form, was the hidden episode of season two! Other than that, that’s all. We really enjoyed the series as always despite the fact that we make fun of it. I can try to look it up. Could you tell me if the scene you’re talking about was in episode 25 or 26?